The Netherlands have made an internal selection like in the past four years. The broadcaster AVROTROS has chosen the three sister of O’G3NE announce as one of the first artists of this year’s edition of the ESC. Those three girls have already represented the Netherlands in the Junior ESC back in 2007 with the song “Adem In, Adem Uit” in Rotterdam 2007, they came 11th. The three sisters Lisa (22), Amy (21) & Shelly (21) were all born in Dordrecht. At the time of the Junior ESC they have performed as Lisa, Amy & Shelly. Now they have changed their name to O’G3NE, a very unusual name to read and spell. This represents their mother's blood type O, as their mother is seriously sick for a couple of years. After their performance at the Junior ESC, the girls have released their first album “300%”. O’G3NE have participated at the show “The Voice of Holland” in 2014 and won as the first girl band to win. Their song “Magic” has more than 1.5 mio clicks on YouTube. This is an enormous success for these three beloved girls. The Eurovision song “Lights And Shadows” is very harmonic and melodic entry. But there are strong similarities to the sound of the US band Wilson Philips. By coincidence the Dutch title “Lights And Shadows” tinkles like the album of Wilson Philips “Shadows And Light”. Is this just by accident? The appearance of the nowadays adult girl group looks exactly the same like Wilson Philips, who had huge success in the 90’s. The overall appearance, the harmony of the voices and the sound of music and the song itself give the impression that it’s a copy of the US band. The song has been co-composed be the father Rick Vol, who would like to empower people. The lyrics tell the story of the inner demons inside who fight against happy and strong feelings. 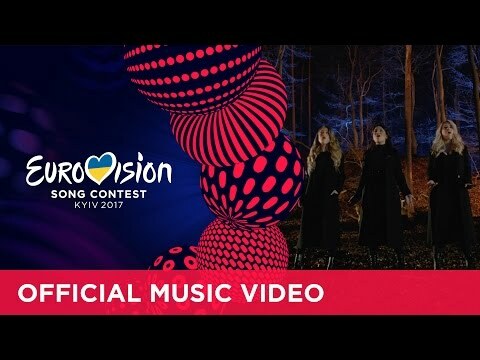 This Dutch entry is heart-warming and energizing song, which might do well in Kiev. The only doubt is the strong similarity to the US group Wilson Philips which might bring the girls to fall. The last victory for the Netherlands is more than 30 years ago. Nevertheless, the Netherlands do still belong to one of the most successful ESC countries, with four victories: “Net Als Toen” by Corry Brokken in 1957, “Een Beetje” by Teddy Scholten in 1959, “De Troubadour” by Lenny Kuhr in 1969, “Ding-A-Dong” by Teach-In in 1975. Since the first Eurovision Song Contest in 1956 the Netherlands participate on a more or less regular basis. There have been certain years when the Dutch broadcaster NOS decided to withdraw. Over the years there were 26 Top10 places for the Netherlands that means that the chances to get a Top10 place in the Grand Final are approximately 45%, which is a relatively good chance. Since the introduction of the Semi Finals, the Netherlands struggled to qualify for the Grand Finals. In the past twelve years there were only four qualifications. Thanks to Anouk, the interest in the ESC has increased a lot in the Netherlands. She brought back the enthusiasm for the Eurovision Song Contest and made a respectable 9th place in the Grand Final in Malmö 2013. One year later The Common Linnets were able to top that and reached the phenomenal 2nd place with only 52 points gap behind Conchita Wurst from Austria, the Netherlands were very close to victory. Since then The Common Linnets started an international career and their songs are being played in all radio stations. Last year’s entry “Slow Down” sung by Douwe Bob could pass the Semi Final and make a fantastic 11th place in the Grand Final of Stockholm.